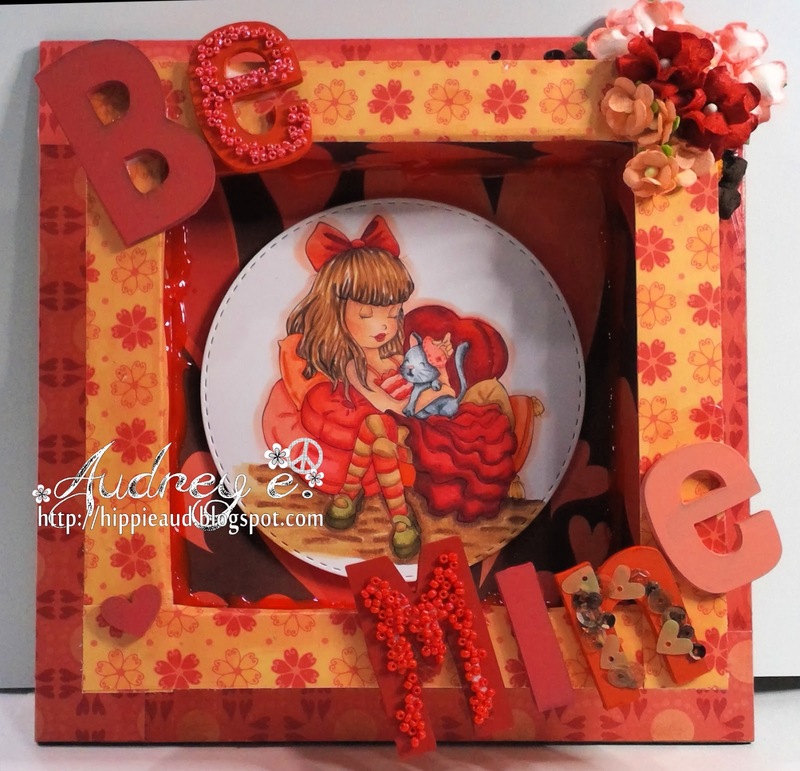 Happy Wednesday, it's time for a New Challenge at The Paper Shelter Challenge Blog. 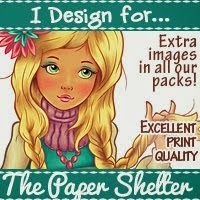 If you are unfamiliar with The Paper Shelter Shop, I suggest that you go pay a visit, they have so many awesome images and they come with digi papers, backgrounds, etc. Plus, there's a customer rewards program that is awesome. Trust me, you will love it!! Don’t forget to sign up for the newsletter and you will get notices of all SALES and other SPECIALS going on! We also have a weekly challenge, with each DT team rotating weeks. This week it’s Team Bs turn! 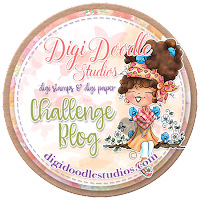 Challenge rules can be found here and our New Challenge can be found at The Paper Shelter Challenge Blog. Our challenge this week is ADD SOME STARS. Additional information can be found at The Paper Shelter Challenge Blog. Our very generous sponsor is The Paper Shelter, and winner can receive a fabulous prize of $30 to spend at The Paper Shelter Shop - you win this prize if you have used one of their products on your card, this could be an Image, Backing Paper or Printable. 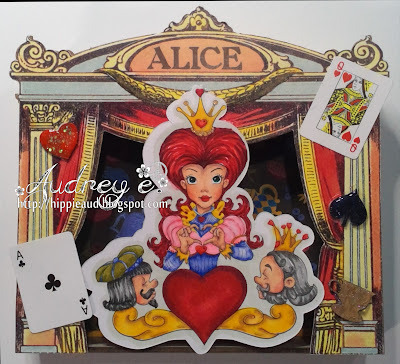 If you do not use one of The Paper Shelter products for your creation, you win a prize of 3 digi images of your own choice from The Paper Shelter Shop - wow, you can't beat that! Please don't forget if you wish to enter several times that we limit this to 3 entries and at least one of those must carry one of our The Paper Shelter Shop products. For my card this week, I chose Trekking Girl digital image from The Paper Shelter Shop. 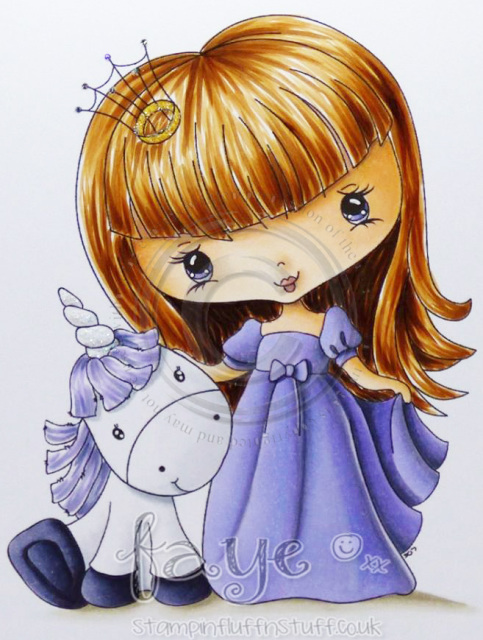 I colored and highlighted this beautiful image with Copics then cut out with die from Gina Marie Designs. For my card, I chose papers from DCWV, I cut out all the stars with my Cameo using nested stars file. I added ribbon from Really Reasonable Ribbon, buttons from SU and sentiment from Dylusions clear stamp, cut out with Nestie. Happy Saturday to everyone! Hope you had a wonderful week and are enjoying the start of your weekend. Today’s weather was absolutely beautiful here. 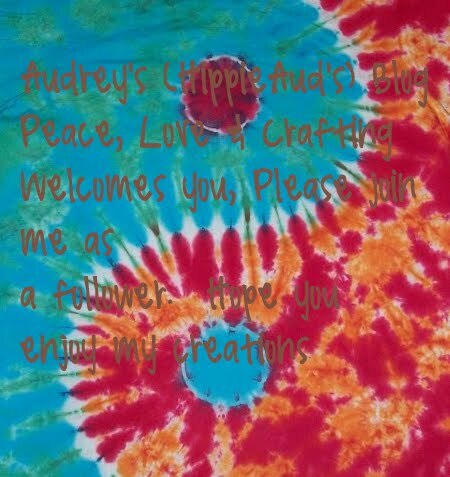 We have a NEW CHALLENGE for you over at DI’S DIGI DESIGNS Challenge and it is ADD and/or SHOW TEXTURE. Di has tons of images that will fit this challenge perfectly. You have until 10pm EST on Friday, April 19 to come join the fun. Remember, you don’t need to use an image from DI'S DIGI STAMPS Shop to play along, but if you do, you have a chance to win 2 images from DI'S DIGI STAMPS in addition to a chance at the random prize. You may also use a CandiBean rubber or clear stamp to have an extra chance to win the 2 Di's Digi Stamp images!! 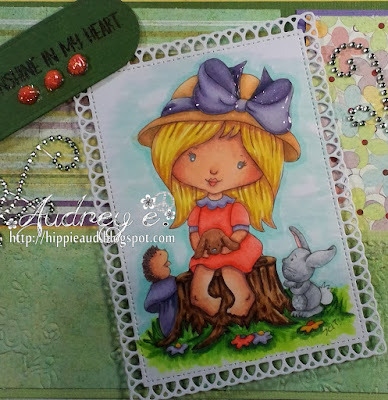 I used this adorable image “Woodland Love” from DI’S DIGI STAMPS. 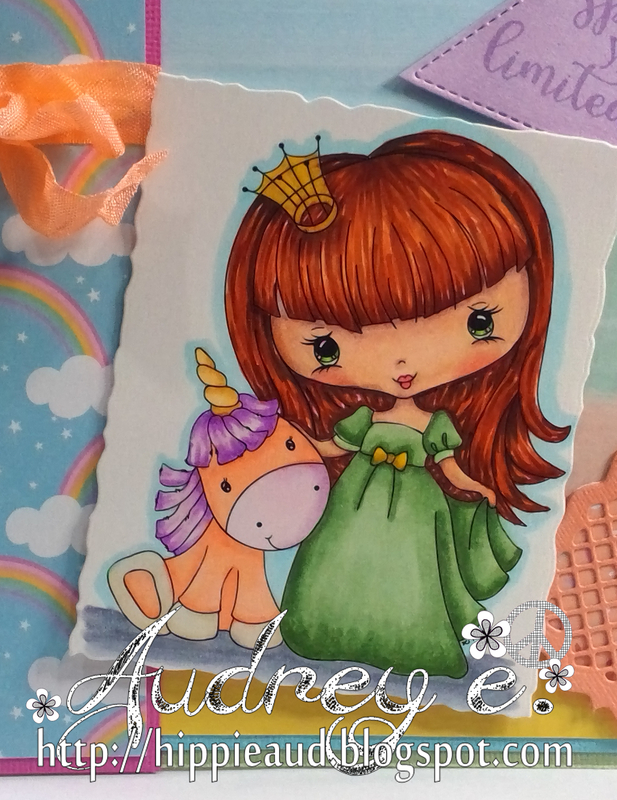 This image is colored with Copics and cut out with Gina Marie Designs die. I added Glossy Accents to the girl’s bow and used a wash cloth with Copic Colorless Blender on the bunny’s fur for added texture. I chose papers from Basic Grey. 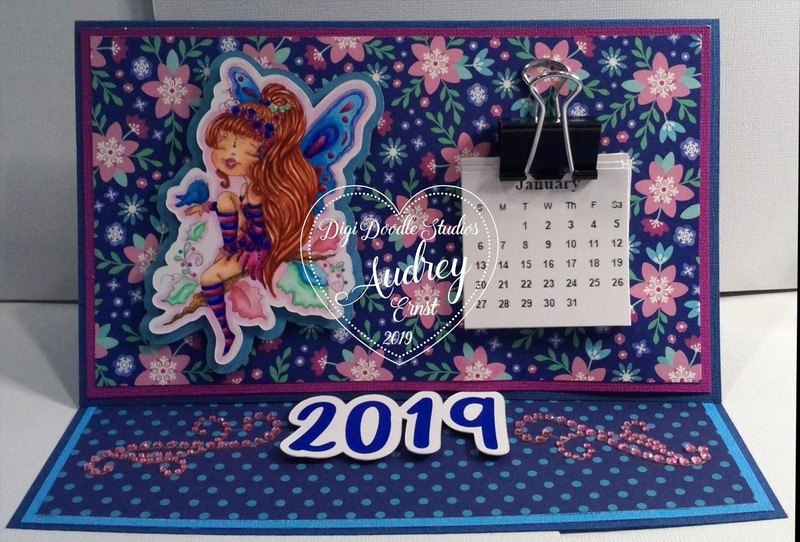 I embossed the bottom paper with a Sizzix embossing folder, added Zva Creativ bling flourishes, sentiment from Echo Park clear stamp, which is cut out with Nestie and embossed with JudiKins embossing powder and then Stickles added. We also have a weekly challenge, with each DT team rotating weeks. This week it’s Team Bs turn! Challenge rules can be found here and our New Challenge can be found at The Paper Shelter Challenge Blog. 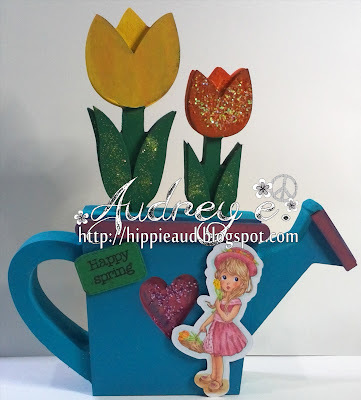 Our challenge this week is THINK SPRING. Additional information can be found at The Paper Shelter Challenge Blog. For my card this week, I chose Tulips digital image from The Paper Shelter Shop. I colored and highlighted this beautiful image with Copics then cut out with my Cameo. For my project, I used wood pieces from Foundations, Inc., painted with Deco Art acrylic paints and then added various chunky and fine glitters from my stash. Sentiment is from Echo Park clear stamp, stamped with MFT ink and embossed with Gina K. Designs fine, clear embossing powder after cutting out with die from my stash. We have a NEW CHALLENGE for you over at DI’S DIGI DESIGNS Challenge and it is MAKE IT GIRLY. Di has tons of images that will fit this challenge perfectly. You have until 10pm EST on Friday, April 5 to come join the fun. Remember, you don’t need to use an image from DI'S DIGI STAMPS Shop to play along, but if you do, you have a chance to win 2 images from DI'S DIGI STAMPS in addition to a chance at the random prize. 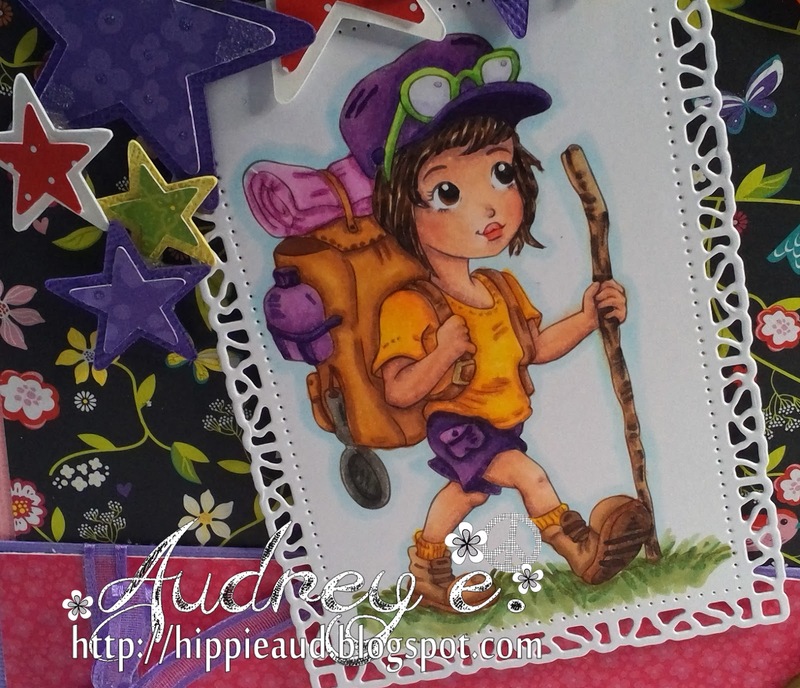 You may also use a CandiBean rubber or clear stamp to have an extra chance to win the 2 Di's Digi Stamp images!! I used this adorable image “Surprise” from DI’S DIGI STAMPS. 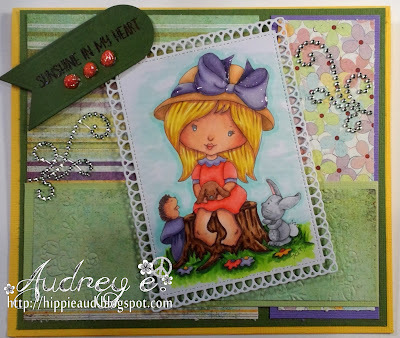 This image is colored with Copics and cut out Tattered Lace die. 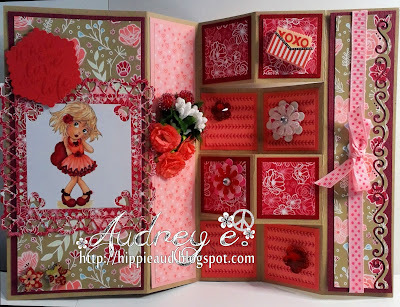 I chose papers from Heartfelt Creations, added flowers from I Am Roses, bling from Darice, Zva Creative and Want 2 Scrap, butterfly from my stash, sentiment from Stampin’ Up is stamped on Heartfelt Creations tag. We also have a weekly challenge, with each DT team rotating weeks. This week it’s Team Bs turn! Challenge rules can be found here and our New Challenge can be found at The Paper Shelter Challenge Blog. Our challenge this week is DIGITAL IMAGE. Additional information can be found at The Paper Shelter Challenge Blog. 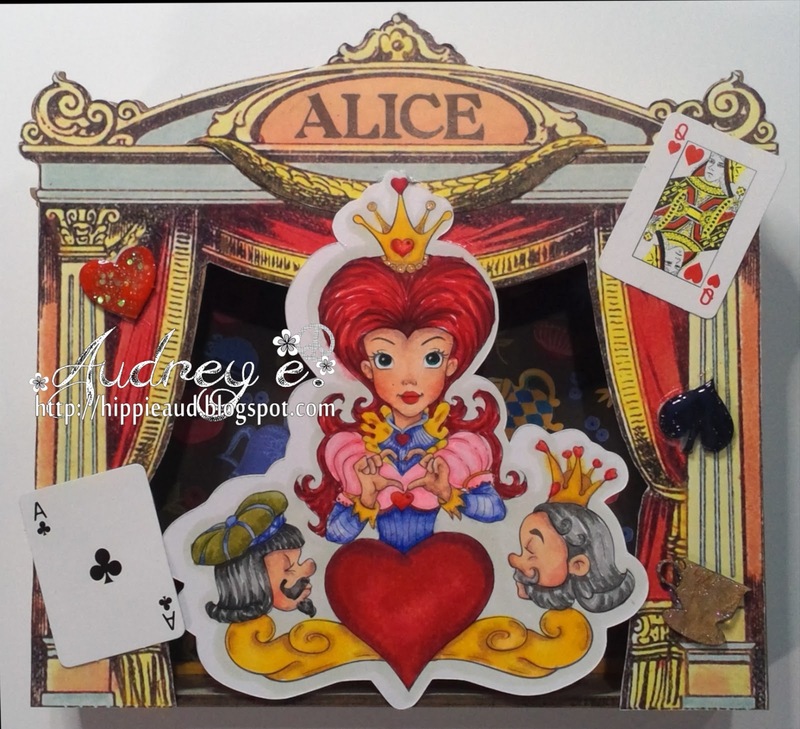 For my card this week, I chose Queen of Hearts digital image from The Paper Shelter Shop. I colored and highlighted this beautiful image with Copics then cut out with my Cameo. I chose a Frame with Stage Front from Gypsy Laser Cuts which I put together and added one of the cut outs that come with the frame to the front. 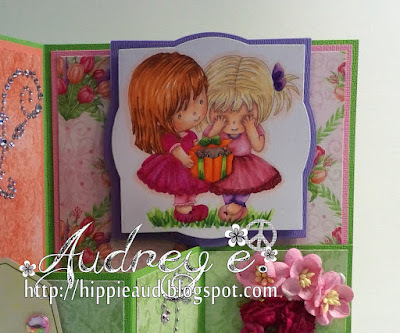 I also added mini cards from my stash and chipboard pieces that I colored with Copics and used Ranger acrylic paint daubers before adding glaze and glitter glue over the tops. We also have a weekly challenge, with each DT team rotating weeks. This week it’s Team Bs turn! Challenge rules can be found here and our New Challenge can be found at The Paper Shelter Challenge Blog. Our challenge this week is BIRTHDAY. Additional information can be found at The Paper Shelter Challenge Blog. For my card this week, I chose Pixie Caramel Macchiato digital image from The Paper Shelter Shop. I colored and highlighted this beautiful image with Copics and added a sidewalk below and then cut out with my Cameo. I chose papers from Heartfelt Creations, added a sentiment from Stampin’ Up and bling flourishes from Wanna B Creative. We have a NEW CHALLENGE for you over at DI’S DIGI DESIGNS Challenge and it is INCLUDE AN ANIMAL. Di has tons of images that will fit this challenge perfectly. 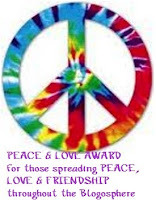 You have until 10pm EST on Friday, March 8 to come join the fun. 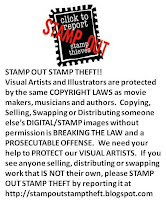 Remember, you don’t need to use an image from DI'S DIGI STAMPS Shop to play along, but if you do, you have a chance to win 2 images from DI'S DIGI STAMPS in addition to a chance at the random prize. 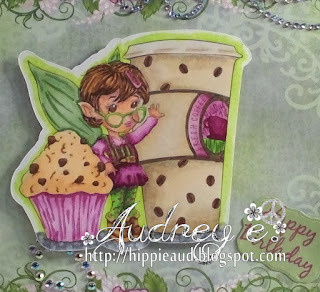 You may also use a CandiBean rubber or clear stamp to have an extra chance to win the 2 Di's Digi Stamp images!! 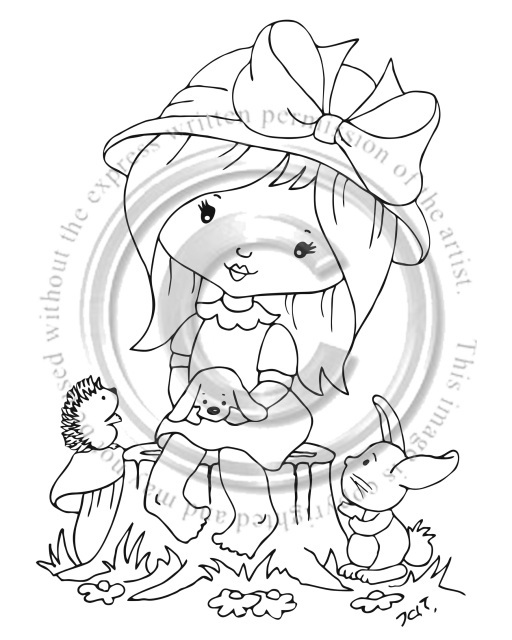 I used this adorable image “Fair and Beautiful” from DI’S DIGI STAMPS. This image is colored with Copics and cut out Tattered Lace die. 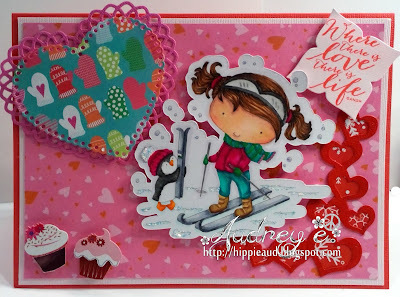 I chose papers from First Edition, added another die cut, a rubber stamp sentiment from my stash cut with die from Gina Marie Designs. I added pearls from Create and Craft and crinkle ribbon. 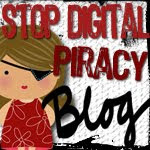 Happy Thursday everyone and welcome back to my blog. I hope you have had a great week so far and have gotten to do some crafting. 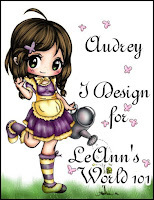 I am excited to share my new creation using one of the many fabulous images from Digi Doodle Studios Shop. 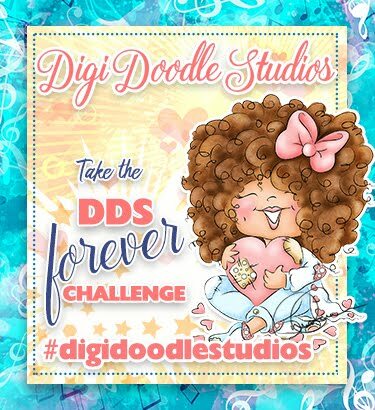 Have you visited Digi Doodle Studios Shop recently? Make sure to head on in and check out all the amazing products, new items are being added all the time - they are all awesome! New images have been added, with more coming soon, and you will definitely find many images you are going to want to add to your collection! 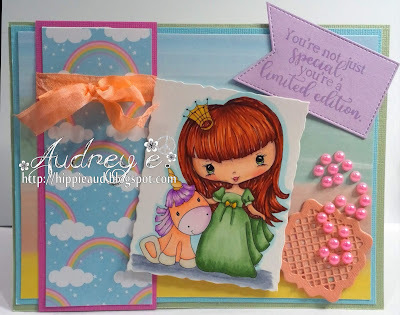 You can also find digi sentiments and digi paper sets to fit all your card making and crafting needs. 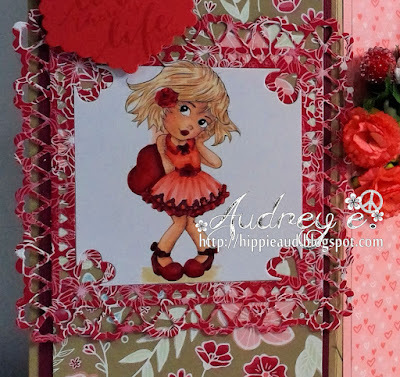 Reminder: The Digi Doodle Studios Challenge Blog is hosting our February challenge and the theme is “All About Love.” I sure hope you will come play along – you have until February, 28. My project today uses Gracie and Nibbles digi image. I had a great time coloring this gorgeous image with my Copics. Image is cut out with die from Tattered Lace. Image is highlighted with R30 and I made wood floor to ground the image using E79, E57, E35, E31. 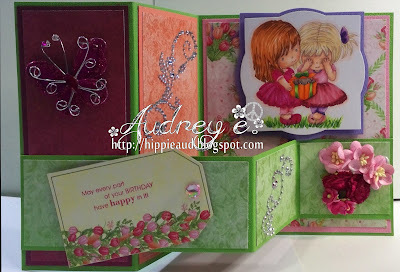 My creation uses papers from Cosmo Cricket, sentiment from a rubber stamp from my stash, which I cut out with Tattered Lace die and then embossed with Ranger embossing powder. 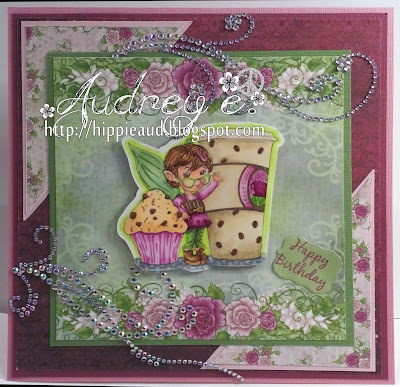 I added buttons from Bag ‘O Buttons, flowers from I Am Roses and bling from Prima and Darice. 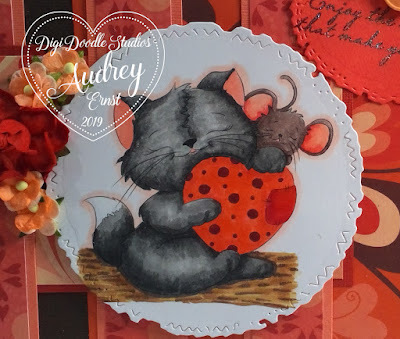 Hope you have enjoyed learning about my creation and that you will check out Gracie and Nibbles in the shop - we'd all love to see you color any of the images from Digi Doodle Studios Shop and share them in our Digi Doodle Studios Facebook Fan Group and on other social media!! Wishing you a wonderful remainder of the week. We also have a weekly challenge, with each DT team rotating weeks. This week it’s Team Bs turn! Challenge rules can be found here and our New Challenge can be found at The Paper Shelter Challenge Blog. Our challenge this week is LETTERS and/or NUMBERS. Additional information can be found at The Paper Shelter Challenge Blog. For my card this week, I chose Wrapped In Cotton Wool digital image from The Paper Shelter Shop. I colored and highlighted this beautiful image with Copics and colored in a wood floor then cut with die from Pink and Main. 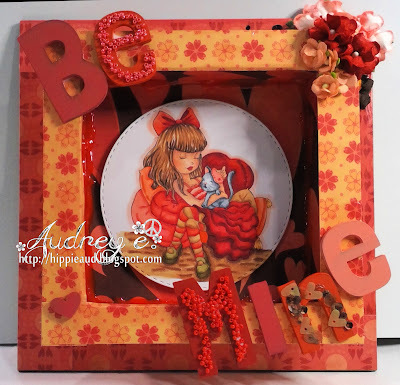 I chose papers from Cosmo Cricket to line my MDF shadow box frame. I added letters from Foundations Decor. I painted letters with Deco Art Acrylic pants and added seed beads and sequins to a few of the letters. 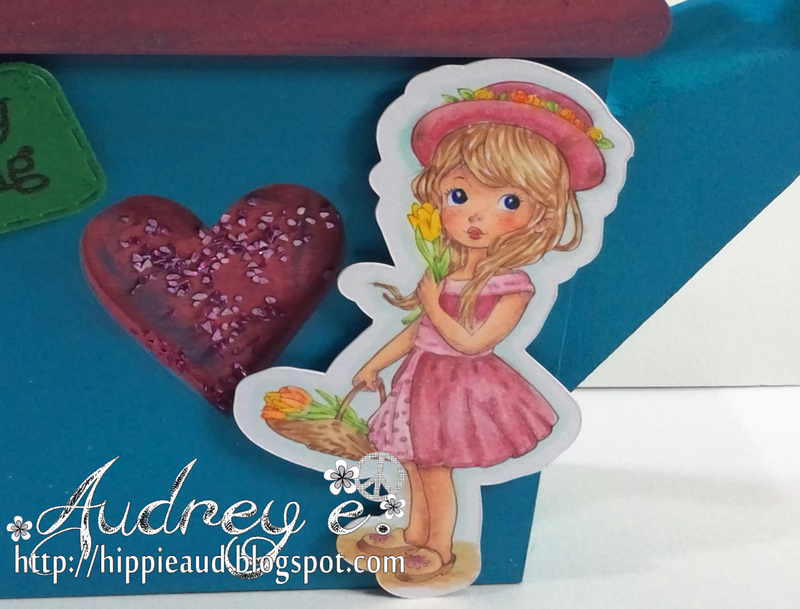 I chose flowers from I Am Roses and a painted wooden heart from Foundations Decor. I added red Pearl Pen to the inside of the frame. We also have a weekly challenge, with each DT team rotating weeks. This week it’s Team Bs turn! Challenge rules can be found here and our New Challenge can be found at The Paper Shelter Challenge Blog. Our challenge this week is DIE CUTS and/or PUNCHES. Additional information can be found at The Paper Shelter Challenge Blog. 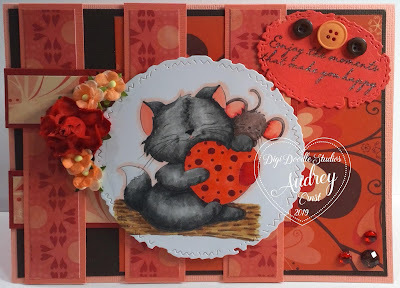 For my card this week, I chose Sweetheart digital image from The Paper Shelter Shop. I colored and highlighted this beautiful image with Copics, cut with die from Cheery Lynn Designs. I chose papers from Stampin’ Up, embellies from Recollections, clear stamp sentiment cut with Pink and Main die, ribbon from Really Reasonable Ribbon, flowers from I Am Roses, spary and berries from my stash and paper on right edge cut with punch from EK Success.